So here's another top from my niece's shop. I got a huge love for vintage satement shirt these days, if you could remember my old post about this specific shop offers cool customized/statement shirt. Anyway, let me tell you some tomboy secrets on how to make a skirt look not so girly (If you don't want people to keep on telling you that you're wearing a skirt). 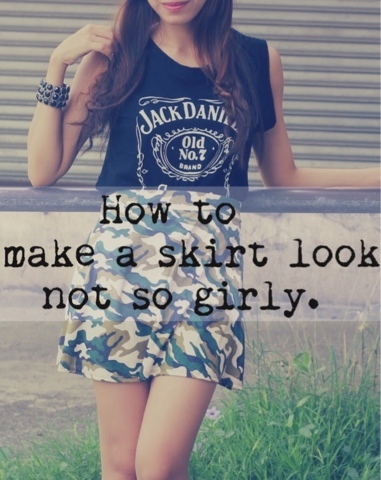 Something that would makes skirts less and not obviously girly is if you pair them with a loose shirt. For jumpers, try it untucked but don't make it longer than the skirt though. 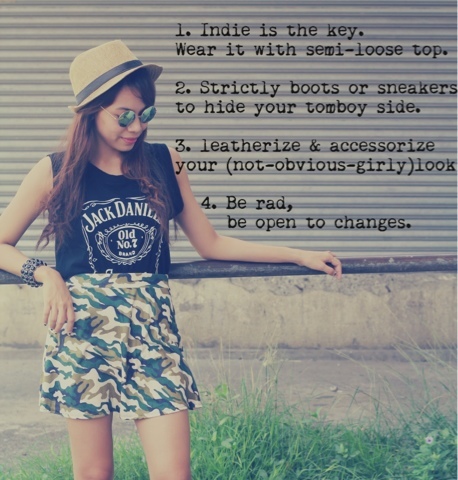 Second, remember to always wear it with boots, sneakers, etc to hide your tomboy side. Third and last, bring out your usual accessories. Be open to changes, try something that really suits your personality. I like when fashionistas transform a beyond girly item into something 'tomboyish'. Oh they're so sweet and the outfits are lovely!